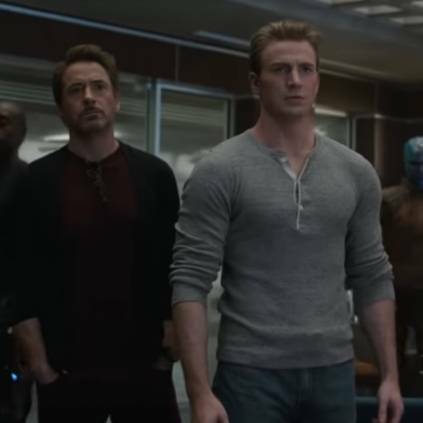 Marvel Studios’ ‘Avengers: Endgame’ is all set to release on the 26th of April, and fans can’t hold their excitement to see their favourite superheroes on screen, once again. The second trailer of the movie released recently and the fans are in awe. Meanwhile, a new ‘Mission’ spot from the movie is here. The 30-second clip featured Captain America, Black Widow, Thor, Iron Man and all the other superheroes getting ready for their mission to save the world and fight Thanos. The movie is generating a rapid amount of pre-release excitement already, and this video is an addition to it. ‘Avengers: Endgame’ stars Chris Evans, Chris Hemsworth, Robert Downey Jr., Brie Larson, Scarlett Johansson, Paul Rudd and Mark Ruffalo along with others. The movie is directed by Joe Russo and Anthony Russo. Stay tuned for more updates. People looking for online information on Avengers Endgame, Captain America, Chris Evans, Iron Man, Robert Downey Jr. will find this news story useful.